A RARE '4-YEAR NEW' 3000+SF 1 STORY HOME ON A BIGGER CUL-DE-SAC LOT AT LA SENTIERO FOR LEASE! 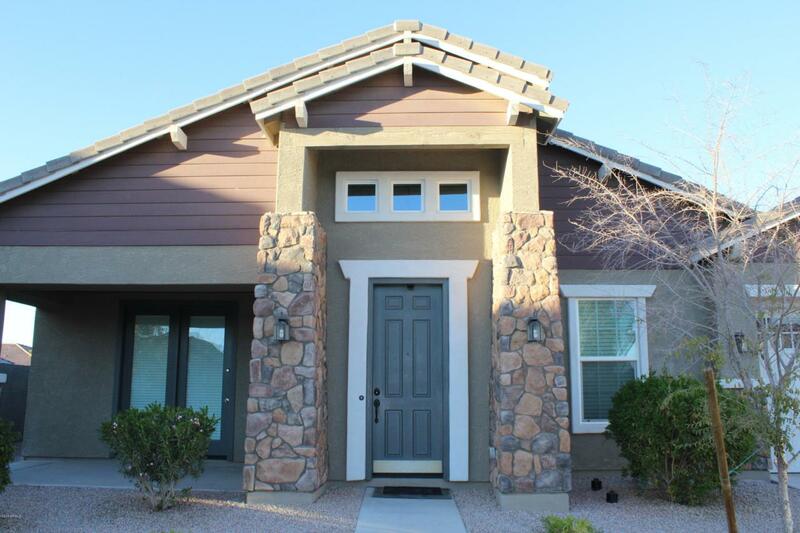 LOCATED NEXT TO GREENBELTS WITH ONLY 1 ADJACENT NEIGHBOR PROVIDING PLENTY OF ROOM TO BREATHE! IT BOASTS 4 BEDS AND 3.5 BATHS, A HUGE KITCHEN WITH A BIG GRANITE ISLAND, HUGE LIVING, DINING AND FAMILY ROOMS PLUS AN OFFICE! THE MASTER BED/BATH IS AMAZING WITH HIS/HERS CLOSETS, HIS/HERS GRANITE SINKS, A GARDEN TUB AND A SHOWER! A SMALLER 2ND MASTER SUITE IS LOCATED ON THE OTHER SIDE OF THE HOUSE. THE HOME IS COMPLIMENTED WITH FRONT PORCH AND REAR PATIO TO WIND DOWN AND RELAX! CEILING FANS THRU OUT PLUS SUN SCREENS TO KEEP IT COOLER IN SUMMER TIME. FULLY LANDSCAPED SIDE AND BACK YARDS. A FRIDGE, WASHER/DRYER ARE INCLUDED WITH THE LEASE. COME TAKE A LOOK AND BE THE LUCKY ONE TO MAKE IT YOUR NEXT HOME. Cross Street Rittenhouse Rd. And Creekside Dr.